TEXAS CITY, Texas (WPVI) -- Police say a 27-year-old Texas man confessed to killing three children and shooting a woman in a call to 911 dispatchers shortly before his arrest. KTRK-TV reports, Junaid Mehmood was taken into custody late Thursday in Clear Lake, just hours after police made the gruesome discovery in Texas City. Nelson's children were all found dead in the apartment she shared with Mehmood. Angela Pilot, 5; Prince Larry Brown, 2; and 2-month-old Ashanti Mehmood were killed. Junaid Mehmood is the father of Ashanti. 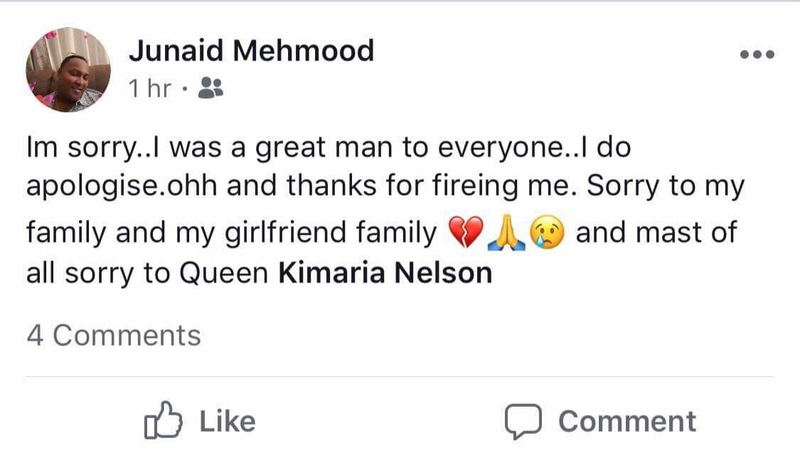 Mehmood also posted to Facebook, apologizing to Nelson and her family.